about this book: Comes the Awakening is set primarily in the beautiful area around Lunenburg in Nova Scotia; it also has action in Russia and various locations in the U.S. Following a prologue featuring the Knights Templar, the contemporary story begins with the discovery of a body on the shore near Lunenburg and famous Oak Island. A buried treasure quest on Oak Island rapidly expands to be the anticipated funding source for a terrorist group targeting five leading world cities. Protagonist Phil Kent and his wife first discover the body and find a gold coin that leads them to a Native American tribe in Minnesota and the tribe's link to long-lost wealth of the Knights Templar. Kent solicits the help of friend Bill Lander, a former Special Forces agent who draws in another former agent with whom he had served. With their contacts in Washington, they are able to work together in an attempt to foil the planned terrorist use of bio-weapons. Action threads include the theft of the buried treasure by the terrorists and the final disposition of it to the Native American tribe for whom it was intended; the safe release of an American scientist who had been working on a new technology when he was reportedly killed in a helicopter crash and who has been helping the terrorists with the new digital interactive camouflage in order to protect his threatened family; and the purchase—from a former Russian KGB agent—of five weapons of mass destruction intended to kill thousands in the world-wide plot. Follow the story as it connects the various subplots and comes to a satisfactory conclusion with debut characters—not super heroes, but people who are inspirational and believable. A suspenseful thriller focusing on the story and not relying on blood and gore to move the action along. 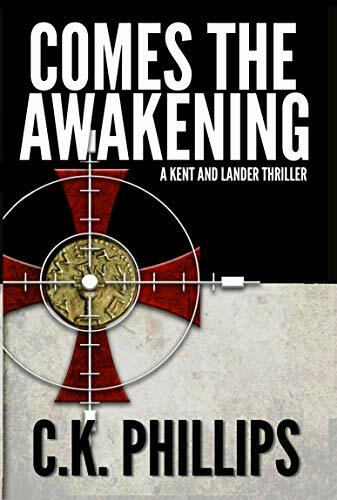 Comes the Awakening is the debut novel of C. K. Phillips. The author saw the statue The Awakening years ago in Washington, D.C. and has been intrigued by it ever since. He and his wife spent some vacation time in the Lunenburg and Peggy's Cove area of Nova Scotia and just loved it. When the connection to Oak Island and the famous search for buried lost treasure was realized, the basis for the story came into focus. From reviews on Amazon.com: J. Spencer says, "It's a Dan Brown type book with every page a mystery. It's edge of your seat reading with the ending begging for more." J. Frazier says, "This novel was a fun, timely, and suspenseful read that kept this reader wondering what would happen next from the first chapter to the last." C. Smith says, "If you like mystery/suspense/thriller, you should read this book. I just didn't want to put it down." Sherry B. says, "This is a brand new author to me and to the publishing industry, but he gets off to a great start with this debut novel. . . It is action packed, all the way thru, and the main characters are fleshed out well enough that I hope to read another book in this series."